As you know there is a growth in Western Rite Orthodox in this country. As they are not ethnically oriented as are many of the Eastern parishes, and use English exclusively in their services, they are able to reach out to non-Orthodox, non-Ethnic Protestants and non-churched individuals to offer them another avenue into Orthodoxy. 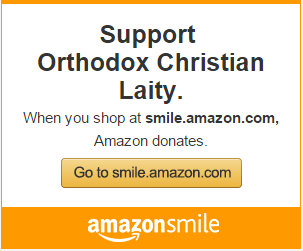 My question is this: How can Western Rite Orthodox contribute to the Pan-Orthodox unity and catholicity of the Orthodox Church here in America? as a lay person,i feel that the WROeliminates the ethnic barriers that prevent and make potential converts uneasy about orothodoxy. WRO is the native form of Orthodoxy for North America in general. It is Orthodoxy in the native tongue of the land, both linguistically and liturgically. Rather than prsenting something which is construed as foreign and exotic, WRO presents the ancient faith in a way which is comfortable and understandable for the average American or westerner. 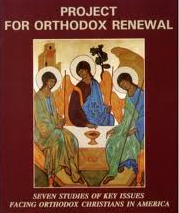 Like it or not, if Orthodoxy is to have a future in North America, it can’t be the divisive ethnically based churches which make up its face right now. No one would seriously expect the Orthodox Church in Athens to preach in Russian, nor the Church in Moscow to preach in Syriac. So why would the metropolitans and patriarchs of the Church seriously expect the faith to be accepted in North America in any other language than English? This needs to be the focus of Orthodox church planting and missionary work in North America, not trying to force foreign language jurisdictions on those who will not take the time to understand them.